On January 20, 2012, in cooperation with the Kraków Jewish Community Center and visiting singers from Teatr Chorea, we presented a community-based reading of a script based on interviews with members of Kraków’s Jewish community. The script was called “W Tym Mieście” (In This City). 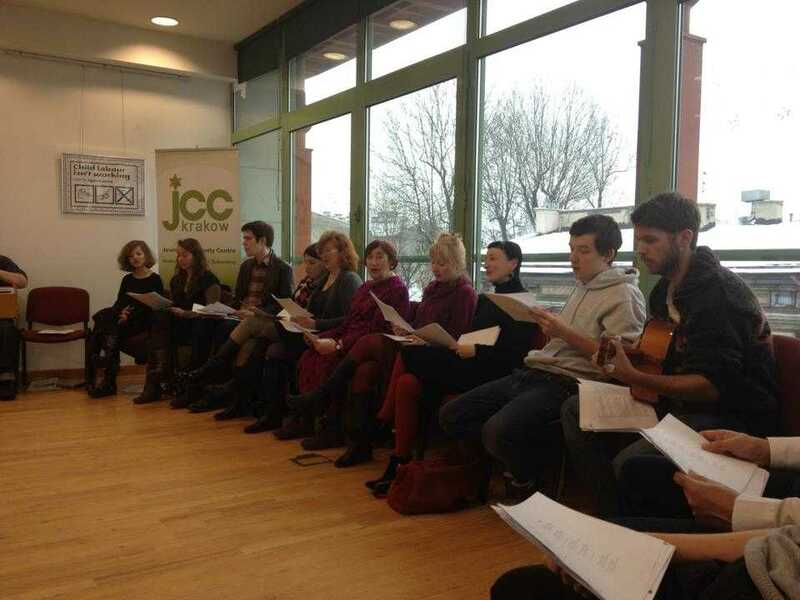 The choir singing, up on the 3rd floor of the JCC, as part of the reading. A more detailed blog post, on the process leading up to the first reading, is here on The Fifth Wall. I’ve since returned to Kraków for more interviews, and to expand the text; a revised version of the script will be presented this summer at Kraków’s Jewish Culture Festival. Details TBA.